Poe Asphalt was founded in 1953. The company, under the direction of Ernie Poe, operated by the name of Asphalt Paving Company until 1962, at which time Ernie’s son Don took over the company. As Poe Asphalt Paving, Inc., the company laid 4,500 tons of hot mix that year, with five employees, a small batch plant and two end dumps. In 1963 the company purchased its first portable plant and expanded their market base. The company continued with steady growth through the 60’s, 70’s, and 80’s. In 1992, Don’s son, Mark was named President and CEO for the company. In 1999 Poe Asphalt began serving the Coeur d’Alene/Spokane market, joining other base plants that serve the Lewiston /Clarkston, Moscow/Pullman, and Grangeville communities. Poe Asphalt recognizes that outstanding people are the key to success. 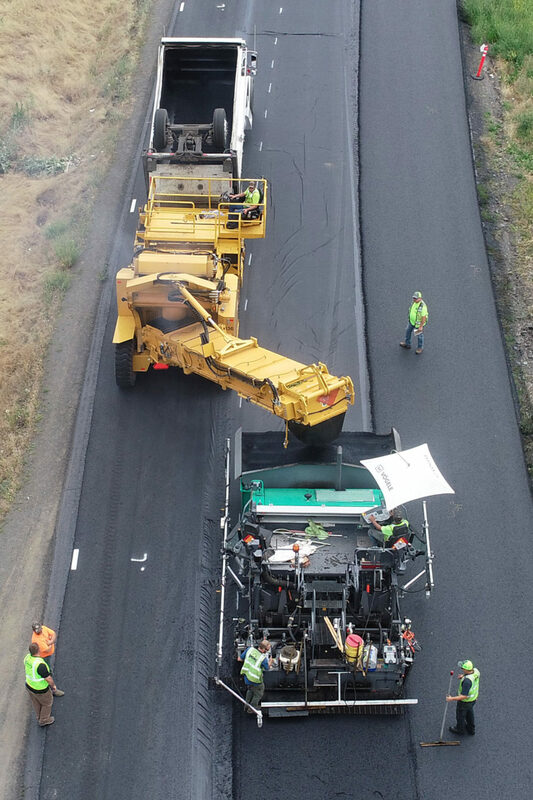 Through the efforts of our people, Poe Asphalt has become a dominant force in the asphalt paving business. To ensure continued success, we must have a strong work force. Therefore, Poe Asphalt’s mission is to provide a work environment where each employee is given the opportunity to grow to his or her fullest potential. Such an environment provides the necessary tools to enable each and every employee to contribute to the success of the company. To ensure the success of the company and its employees, Poe Asphalt also adheres to certain core values. Be honest and fair with all employees. Promote continuous improvement in all facets of our company. Ensure quality in everything we do.